#SunnyvaleCA Hi Folks! 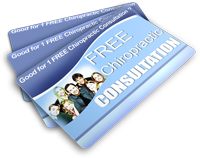 I am Dr. Tropea, and I am one of the most well-known chiropractors in Sunnyvale, California. For many years, I have been successfully treating patients with wrist pain. If you have been experiencing wrist pain, and have been told that your only options are medications or surgery, come and see me. I can treat your wrist pain, and make sure that you do not have that pain in the future, through a series of chiropractic treatments. There are many reasons for wrist pain, and these days with so many people using computers so much, carpal tunnel is becoming more and more common. I see hundreds of patients every year who are afflicted with carpal tunnel syndrome, and they all report the same thing: they are in extreme amounts of pain, are unable to perform normal, everyday functions and traditional treatments are not working for them. They do not want to have surgery because it involves a lot of pain and time missed from work. So, what is the next option? Chiropractic care! What Do I Do?When patients come to see me Dr. Tropea, for their wrist pain, after diagnosing the problem, I embark on a series of treatments. Some of these treatments at 260 S Sunnyvale Ave, 94086, may include spinal adjustments and realignment of the extremities. Exercises may be given, which you can also do at home to continue your care and remain pain-free for life, no matter what type of job you do. So, if you are living in Sunnyvale, California, and are suffering with the pain caused by carpal tunnel syndrome, come and see me, Dr. Tropea, in Sunnyvale, to become pain-free.